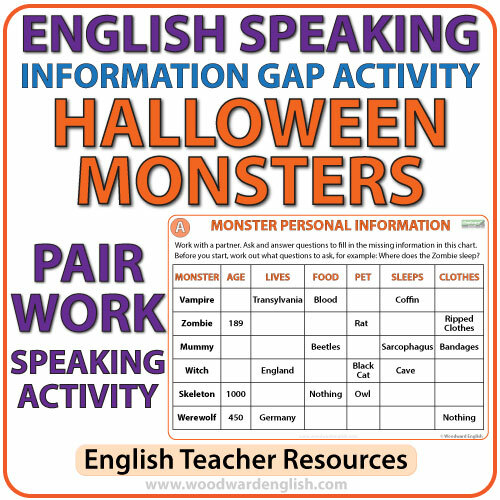 This is a speaking activity in English where students work in pairs. 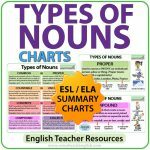 The main objective of this activity is for students to practice asking and answering simple present tense questions in English in order to complete all of the missing information in their chart. The chart contains six Halloween monsters (Vampire, Zombie, Mummy, Witch, Skeleton, Werewolf) and has information about their age, where they live, their food, their pet, where they sleep, and the clothes they wear. 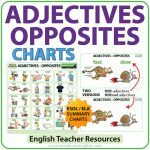 Of course some of the information is missing which the other student has (and vice versa). 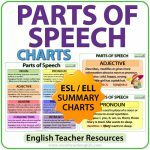 This is where students need to ask their partner questions in English in order to complete the chart. 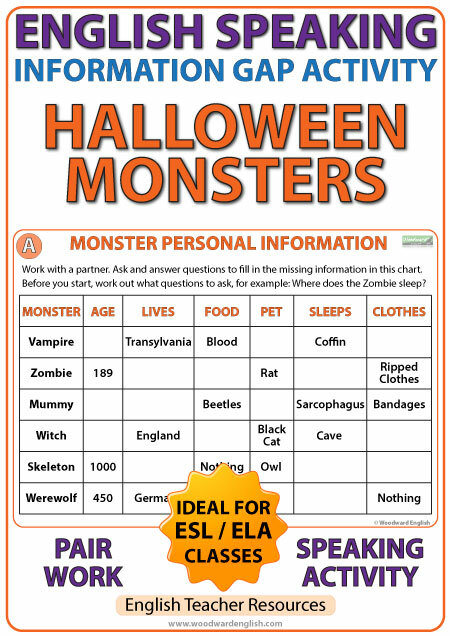 This resource is great to use before Halloween. 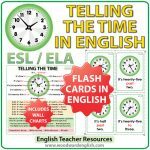 We also have a version of this resource in Spanish.